We see Jesus heal a man on the Sabbath. Remember, this is after His teaching on the Sabbath and religion, religion is a good thing, but it doesn’t save. Only Jesus saves. 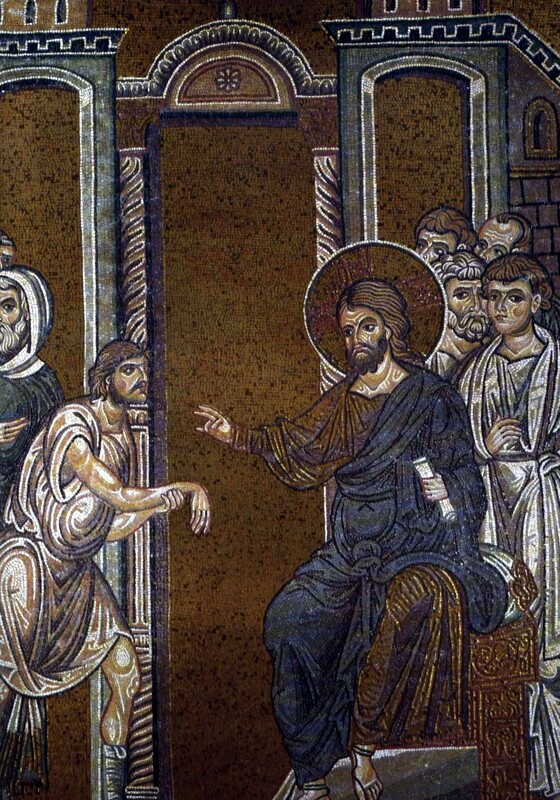 The text here says that people were watching to see if He would heal, not to celebrate that someone was healed, but so that they may accuse Him. Also, notice in verse 5, Jesus gets angry. Did you expect to see that? Two things. First, being “angry” is not a sin. If getting angry was a sin, then Jesus just sinned, and we know that Jesus didn’t sin. So, there are times in our lives when are going to get angry. So, here’s the second thing, and a question. What is it that makes us angry? Why are we angry. For Jesus, it is when people are harmed or abused. When people are harmed or abused, we should be angry. We should be angry at sin. At things that are destructive. We should be angry when children and families are endangered. We should be angry at things that destroy. But never act out of vengeance. Be angry, but do not sin. I want to unpack for you why the Pharisees were so against Jesus healing on the Sabbath and seemed to be a constant trouble to Jesus. Believe it or not, they meant well. They were trying to do what they thought was wrong, but man oh man, did they miss it. To understand this, we’ve got to go back in the Old Testament. We see in Genesis 12, God called Abraham. And we see what God promises him. A land and a people (and that he will be a blessing to all the earth). As we move forward through the Old Testament, in the Law and the Covenant, we see this Word over and over again to the people. If you keep the covenant, you keep the land. If don’t, you will lose it. And that’s what happened. The people didn’t keep the law, and ultimately the nation of Israel divided to the northern kingdom Israel (which was destroyed by Assyria) and the southern kingdom Judah (which was destroyed by Babylon). Babylon took from Jerusalem the young, the brightest, the smartest, and brought them to Babylon with the intent of making them Babylonian. That’s where the book of Daniel happened, it’s where Ezekiel wrote his prophecy, Psalm 137 was written then, and then Ezra and Nehemiah chronicles the process of restoration after the Babylonian exile. What happened during the exile was a group of religious leaders rose up and said this (I’m paraphrasing). Ok, y’all, last time we were home, we didn’t keep the law. And look what happened. We lost everything. So, when we get back, we are going to keep the law. We are going to keep our promises to God. And we will make sure the do it right. That’s where the Pharisees came from. And you know what? What they wanted to do was a good thing. They wanted the people to keep their promises. They wanted people to keep the law. They wanted people to be true. But they guided by fear. They were afraid of what would happen when people broke the law. So, we see Jesus heal on the Sabbath, which they considered work. And the law is clear. Do not work on the Sabbath (by the way, they had built extra laws that would define what “work” was, how far you could walk, things such as that). So instead of celebration that someone was healed, they would say YOU BROKE THE SABBATH! REMEMBER WHAT HAPPENED LAST TIME WE DID THIS! YOU CAN’T DO THAT! Their intent started off good. But what happened was this. They mistook the law for God. The focused more on their man-made laws than they did the revelation of God – Jesus Christ – standing in front of them. They were guided by fear. And that’s a dangerous, dangerous thing. They were actually trying (in their own way) to honor God. But they missed the point. And that can be a reminder to us today that truly want to worship God and honor Him. Let’s keep the main thing the main thing. Let’s focus on following Jesus. And let’s do all that we can do to bring glory to His name. Monday we’ll look at Mark 3:7-11. I’m a fan of checklists. I always like to know what I’ve got to do, when I’ve got to be somewhere, what is on my plate for that moment. I’m always looking to what is next. That’s just how I’m wired. Believe me, I’m not saying it’s good, I’m just saying it’s how I’m wired. And today, as busy as many of us are, even if we aren’t wired like that, it’s sort of how we feel, isn’t it? Even if we don’t want to go, go, go, go, we feel like our schedules, our lives, all that’s going on makes us that way. That’s sort of modern life today. Or at least that’s how it feels. 30 The apostles gathered around Jesus, and told him all that they had done and taught. 31 He said to them, “Come away to a deserted place all by yourselves and rest a while.” For many were coming and going, and they had no leisure even to eat. Jesus had sent the Disciples out on a task, they had a lot that they were called to do for Him. They come back, they are excited, but they had been going, going, going, going. And what does He tell them to do? 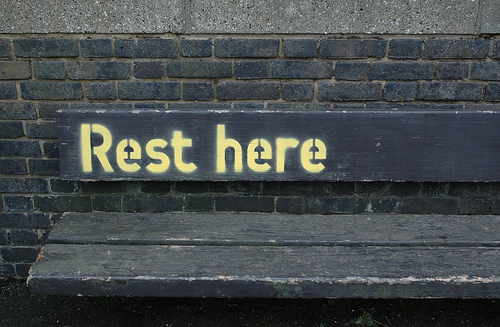 When was the last time you rested? I mean, really? When was the last time you let the concerns of work, of school, of life, of family, of everything, just go, if just for a moment, and rested. We can’t go all the time. Remember one of the Ten Commandments is to keep the Sabbath. We have got to have times of rest. We must. We have do. We can’t go all the time. He made the Disciples live it. What about us? Do we live out this forgotten commandment? Now, believe me, this is a do what I say, not what I do. You can ask my wife, I struggle with this. But the older I get, the more I’m learning that I can go and go and go without taking that rest. So today, take some Sabbath. Catch your breath. Rest. Trust. Hope. You can rest. God has it all under control. You can trust that. He’s got it. Remember that forgotten commandment. Take Sabbath. Take rest. And see how God uses it in our lives. Many of us may not like rules, but here’s the thing. At least rules help us know what to do or not to do. 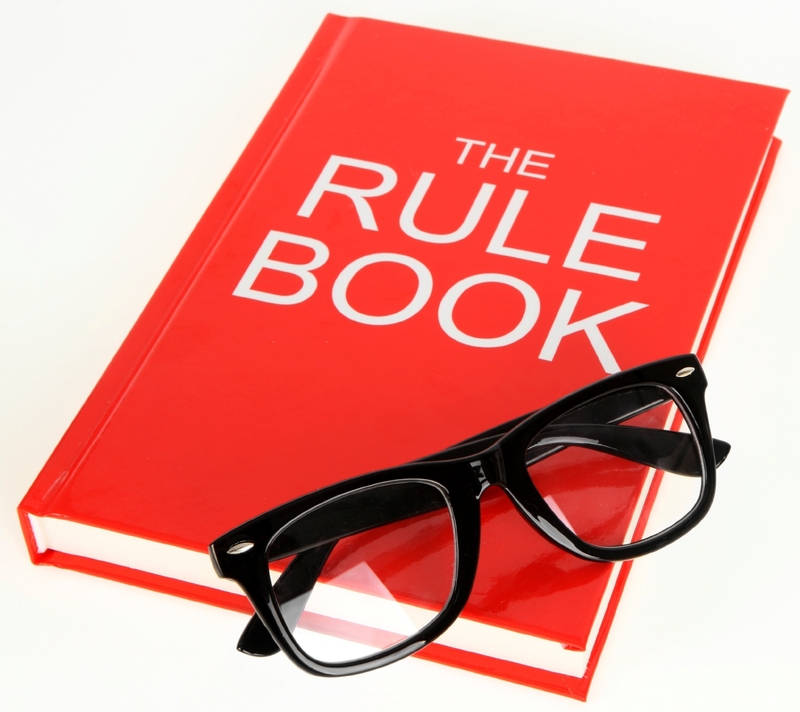 Rules keep things simple, let us know where we stand, let us know how things should go. Rules aren’t bad. They really aren’t. But, rules aren’t the end all, either. They don’t exist for their own good, but for the great good. They exist for order, for purpose, for benefit. Keeping the Sabbath isn’t a bad thing. It’s a very good thing. In fact, it’s one of the top ten things that God wants us to do. It’s very important. But what was happening here was that the people loved the rule more than they loved the reason for the rule. The reason for the rule is that God wants us to have some time that is set aside for rest, and to have some time set aside for worship. The Sabbath is so important for that. God wants us to honor it and keep it holy. Follow it. Live it. Honor it. But, the people here weren’t worry about the reason. They were only focused on the rule. And so when Jesus healed someone on the Sabbath, they go angry. Because the rule said no. Jesus said focus on me. Not the rule. When you focus on Him, you will follow the rule. When you focus only on the rule, you may miss Him. Today, let us focus radically, wholly, totally on Him. And in that, we will follow the rules that He has for us to live by. Let us never go so focused on keeping the rules that we miss the point. Let us never get so focused on the rules that we miss Him. Rules are good. But a true rule will point us to Jesus. Let’s make sure we are follow Him. And He’ll take care of the rest. Today was our fifth day in the Holy Land. And frankly, we didn’t do nearly as much as we did the last few days. But that’s ok. And I’ll tell you why in a second. But first, what did we do? We spent today around the Dead Sea. Part of what I’m doing this trip is doing things that I didn’t do the last time I came in 2007. All the stuff that I missed or just didn’t want to do, I’m doing this time. I’ll have to say I’m really enjoying it, but I have reached the point where I am missing my wife and kids something awful. Today, through, we started at Massada. This was a palace/fortress built by Herod the Great (or builder, because you have probably noticed all that he has built here). 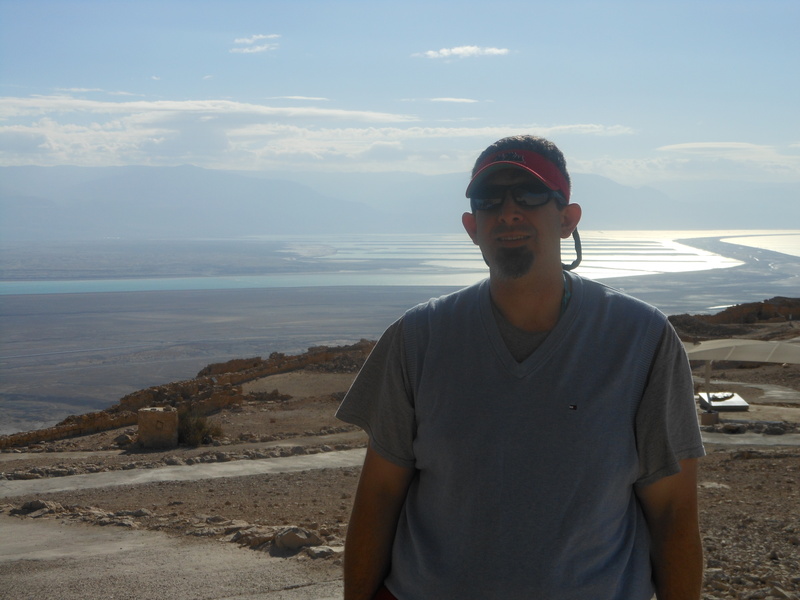 It has one of the most beautiful overlooks of the Dead Sea that you will ever see. The significance of this site was that during the revolt against Rome around 70 AD, zealot holdouts withstood a Roman siege for 3 years. And as the Roman legion was entering the compound after building a huge ramp, they found that all the people there (except for 3 people) had committed suicide. They has decided they would rather die than be enslaved. The interesting thing to me is that for the modern state of Israel, this is site is very important. Air Force pilots even make their pledges here, vowing to fight for Israel and never be slaves again. Next, we went to Quram. This is the site where the Dead Sea Scrolls were discovered. These scrolls go back to Jesus’ day and contain most of the Old Testament, all of the book of Isaiah, and many other things that help us to understand the time of Jesus better, as well as scripture. It is a truly awesome thing to be in a place where we were able to gain a fuller understanding of God’s word. This is a picture of our group, and you can see what looks like a hole behind us. That’s one of the caves where a portion of the scrolls were discovered in 1947. And we finished up at the Dead Sea. Last time, Holly went and floated in it. I didn’t. So, as I said I wanted to do things this time. So, here you go. 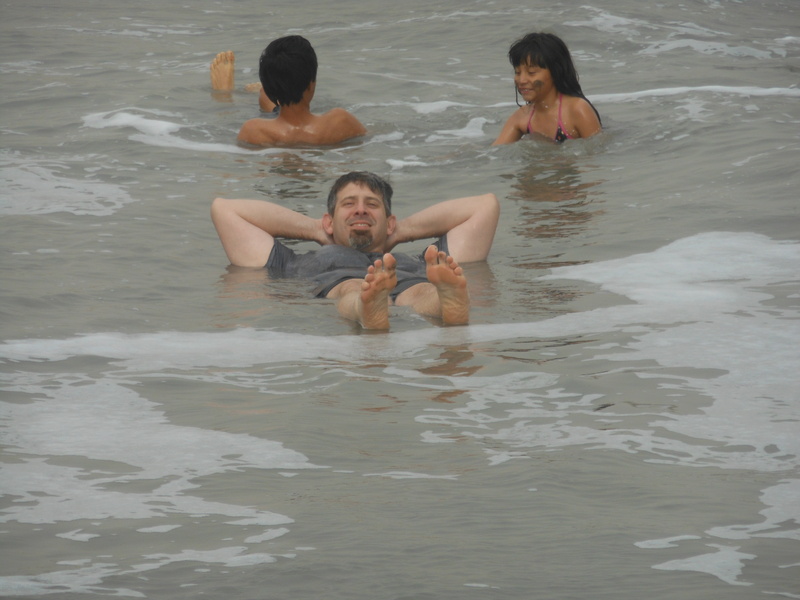 Me floating in the Dead Sea. Boom! But, as I said early, we didn’t do too much today. And that’s ok. Sam Morris, our leader made a point today that this was the third Sabbath that we had been through since we’ve been here. Friday was the Islamic Sabbath. Saturday (technically sundown Friday through sundown Saturday) was the Jewish Sabbath. And today, Sunday, this is the Christian Sabbath. I have noticed what a big deal the Sabbath is for other faiths. They shut everything down. The Jewish people aren’t allowed do anything that even looks like work. It’s so detailed that there is an elevator in the hotel called the Sabbath elevator that on that day stops at every floor going up, and going down, so you won’t have to work and push a button. Now, that’s a little extreme. I’m glad that we are people of grace and not of law. But, it made me think. Do we rest? Really, do we rest at all? Do we ever stop and take time for sabbath? To stop. Slow. And listen for God? Listen to what He is saying. Listen to what He may want to say. We were made for this. We were created to do this. We need this. We need Sabbath. the last 2 and half years at Asbury United Methodist Church – Petal, MS have been amazing; 220% increase in worship, almost 200 new members, 80 baptisms, giving increasing by 100%, 15 new small groups and so much more! But I’ll be honest, I was needing chance to unplug and rest a little. Thus far, this trip to the Holy Land has been exactly what the doctor ordered. Have had some time for prayer, rest, and getting refocused. I am already itching to get back and get back to it! As great as the last 2 and half years have been, greater things are yet to come! I can’t wait to see what God does this year! In many ways, this trip has been that for me. I can’t tell you how great the last two and a half years have been. But, I needed my Sabbath. I needed to rest a moment. Reflect. Slow. Breathe. Pray. This trip has been a Sabbath for me. And now, through, I’m ready to get back at it! So, today, have you taken Sabbath. I’m not talking about taking off work. Or not going out to eat. Or even going to church (though it is Sunday! 🙂 ) Have you taken time to slow yourself? Whether you do it today, tomorrow, or whenever. You need to do it. We all do. We were made for it. We need sabbath. Today, no matter where you are, or what you are doing, I pray you find some time of Sabbath.